Standard hive with 75 worker bees that are enough for pollinating plants for minimum of 12 weeks. Medium hive with 55 worker bees that are enough for pollinating flowers for minimum of 6 weeks. 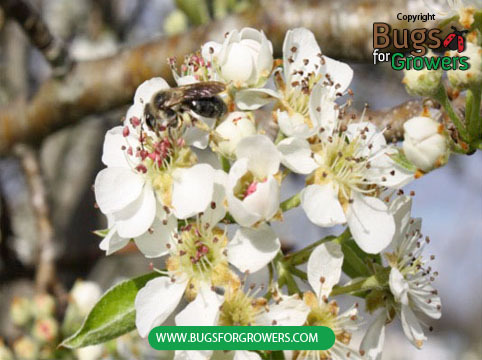 Outdoor hive with 75 worker bees that are enough for pollinating flowers for minimum of 6 weeks. Four- pack hive containing 4 single colonies each with 75 worker bees that are enough for pollinating flowers for minimum of 6 weeks. A colony of bumblebees can pollinate about 1000 to 3000 square meter tomato crop for 6-8 weeks and 3000 to 5000 square meter sweet pepper crop during 8 weeks. Photo 1. 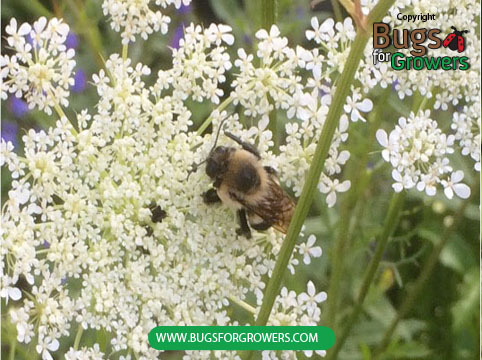 Bumblebee on dill plant flowers.